VANCOUVER, BRITISH COLUMBIA--(Marketwired - April 22, 2015) - Wednesday, April 29 is International Guide Dogs Day and, to help raise awareness around guide and assistance dogs and better serve all its customers, 7-Eleven Canada has joined forces with the Canadian Association of Guide & Assistance Dog Schools (CAGADS). The retailer is supporting CAGADS through a number of initiatives in April including collecting customer coin box donations from all its stores across the country in addition to producing employee training and general awareness videos. "We're always looking at the ways in which we can provide all our customers with better service," says Raj Kapoor, Vice President and General Manager, 7-Eleven Canada. "It became evident that there was an educational and awareness need in the area of guide and assistance dogs, both with our employees and the general public. This campaign will hopefully address some of these needs." "We are extremely appreciative of the support we've received from 7-Eleven to date," says Bill Thornton, Co-Founder, CAGADS. "It will make a tremendous difference to our organization and its members across the country. Generating more awareness and education around guide and assistance dogs will hopefully help some of our programs that need the most support, including our puppy fostering service." Other components of the 7-Eleven Canada guide and assistance dogs campaign include in-store awareness posters, promoting CAGADS member fundraising initiatives via its social media channels and a media relations campaign. To support CAGADS, visit your local 7-Eleven store in the month of April and donate at the cash register. Alternatively, visit www.cagads.com. 7-Eleven, Inc. is the premier name and largest chain in the convenience retailing industry. Based in Dallas, Texas, 7-Eleven operates, franchises or licenses nearly 10,500 7-Eleven® stores in North America. Globally, there are more than 55,100 7-Eleven stores in 16 countries. During 2013, 7-Eleven stores generated total worldwide sales close to $84.5 billion. 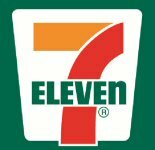 Find out about 7-Eleven Inc. at www.7-eleven.com; find out about 7-Eleven Canada at www.7elevenstores.ca.